Richard (right) and Peter Grossman at the Grossman Burn Center. Richard (left) and Peter Grossman operate on a burn victim at the Grossman Burn Center. Edison International recently donated $25,000 to the center’s charitable foundation. Manuel Arechiga, a retired Southern California Edison lineman, doesn’t remember much of the 11 days he spent at the Grossman Burn Center. In 2009, while working in an underground vault in the South Bay, he was badly injured when an electrical flash occurred. Thanks to the protective equipment he was wearing and quick response by his crew, Arechiga survived his burns and received treatment at Grossman. For 25 years, the Grossman Center has been the premier place for treating SCE front-line crews who suffer burn injuries. Safety is the No. 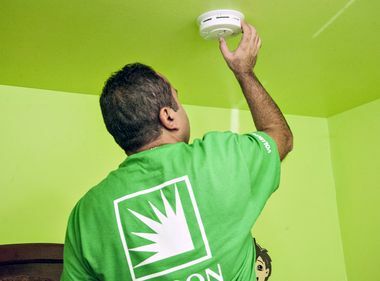 1 priority at the utility, but working inches away from thousands of volts of electricity can quickly turn one small mishap into life-threatening burns. Ed Antillon, director of the line crews in SCE’s South East Division, has seen firsthand the impact Grossman has had on injured employees. Recently, Edison International, the parent company of SCE, presented Dr. Peter Grossman, director of the center, with a $25,000 grant for the center’s charitable foundation. The grant will go toward the Senior Burn Education Prevention Program and Project Faith. The Senior Burn Education Program educates seniors in prevention and care of household burns. Project Faith supports a range of issues, such as funding gas cards for traveling to the center and transporting patients from overseas for surgical care. The Grossman Burn Center traces its roots to the 1960s, when Dr. Richard Grossman, who passed away earlier this year at age 81, first started treating burn patients at a Sherman Oaks hospital. His son, Peter, now heads the center. 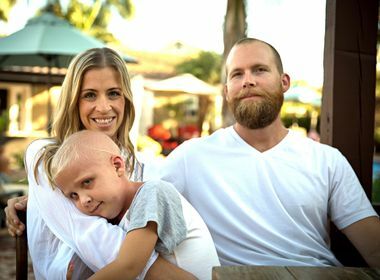 Caring for the whole family is what makes Grossman stand out from other hospitals that treat burns. This includes an area for the family to stay during the healing process and play-based therapy for the children to work through tough issues they may be facing. 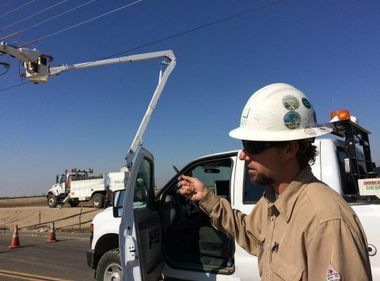 While retired from his days as a lineman, Arechiga still keeps in contact with his colleagues at SCE and lends his support when he gets word of an injury.